Call it Super Sectional Semifinal Saturday. One day, two sites, four games, eight state big-school powerhouses. A high school hockey lover’s annual smorgasbord. Last season the huge crowd racing from Braemar Arena in Edina to Bloomington’s Ice Garden (no speed limits were exceeded, promise) was abuzz over the wildly entertaining Section 2AA semifinal featuring Bloomington Jefferson and Burnsville. Jefferson beat the Blaze 4-3 in overtime on a long-range goal by then-senior defenseman Joe Faust (he’s now at the University of Wisconsin). Fans who then made the short trek from Braemar to Bloomington, and were lucky enough to get into the packed arena, were treated to Edina’s 3-2 victory over Holy Angels in a game that was played at Mach speed. 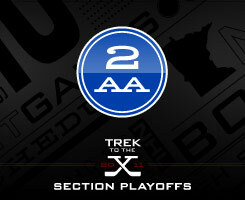 While Section 6AA is generally considered the Cadillac of the state’s 16 sections, it was 2AA that had the slight edge in entertainment value that day (Eden Prairie held off Wayzata and Minnetonka eased past Benilde-St. Margaret’s in the two 6AA semis as part of the show). Can 2AA repeat the feat? No. 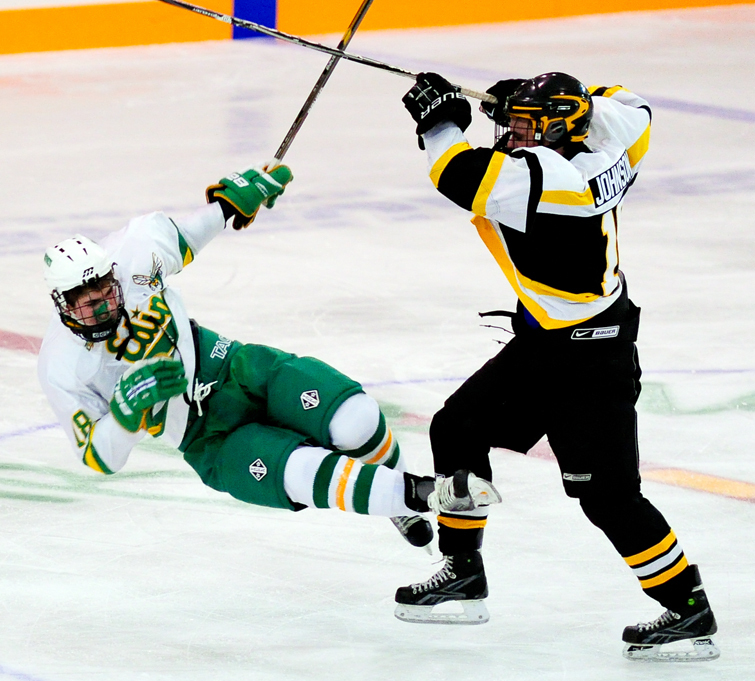 1 seed Edina (15-7-2) again looks to be on a collision course with No. 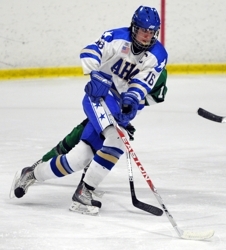 4 Holy Angels (16-8-1), while No. 2 Burnsville (17-4-4) and No. 3 Bloomington Jefferson (14-8-3) appear headed for a rematch in the bottom half of the bracket. The semifinals will be played on Saturday, Feb. 26. Edina, the defending state Class 2A champion, should welcome standout defenseman Max Everson (wrist injury) back into the lineup against Holy Angels. The Stars, propelled by the sniper duo of Joseph LaBate (27 goals, 22 assists) and Cullen Hurley (23 goals, 25 assists), lost 5-4 in the closing minute to Edina on Jan. 7. That game was part of a season-long trend for Holy Angels, which played several of the state’s elite teams (No. 1-ranked Hill-Murray, No. 2 Eden Prairie, No. 5 Benilde-St. Margaret’s, No. 6 Edina, No. 8 Minnetonka and No. 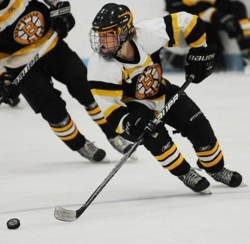 9 Burnsville) and scored four or more goals in all but one of those six games. South Suburban Conference champion Burnsville was more consistent than Bloomington Jefferson during the regular season, when the Jaguars suffered head-scratching losses to Prior Lake, Elk River and Lakeville South. Yet Jefferson twice beat top-10 ranked Eagan and also knocked off Minnetonka. It would be unfair to say Burnsville is a one-line team, as the Blaze have better-than-average depth at the forward position. But any line featuring Mike Dockry is all but impossible to stop. Mike Dockry scored 28 goals and finished with 60 points and might very well have been the best player in the intensely competitive South Suburban Conference. He gets plenty of help from crafty linemate Jace Childs (16 goals, 28 assists). Cory Chapman (19 goals, 25 assists) has played with Dockry and Childs at times this season, but also has served as the catalyst of the second line. This is not just a four-team race. No. 5 Prior Lake beat Jefferson during the regular season, a major coup for Lakers coach Joe Pankratz, a former Jaguars star. Prior Lake plays Holy Angels in a quarterfinal. No. 6 Chanhassen, which twice lost to Holy Angels in overtime, plays Bloomington Jefferson in another intriguing quarterfinal. The defending state champion Hornets, already teeming with talent at every position, will be bolstered by the expected playoff return of standout defenseman Max Everson. Goaltender Connor Girard doesn't get a lot of hype, but he's been rock solid all season. The Jaguars are primed for the playoffs, having defeated high-powered Minnetonka and Eagan in a late-season stretch that also included a tie against likely semifinal foe Burnsville.